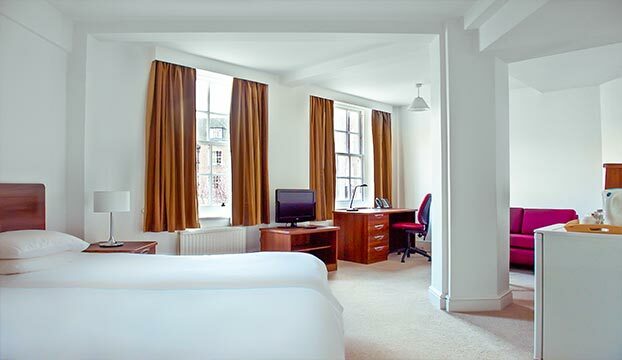 Comfortable rooms in a selection of modern and historic residences all over central London, often with free wi-fi, gym access, and other facilities. 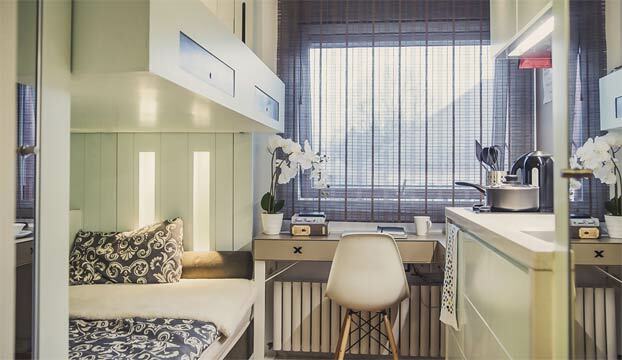 From Bed & Breakfast in leafy Bloomsbury, to self-catered rooms in Kensington, this guest accommodation is a cost effective alternative to staying in a cheap London hotel, hostel or b&b. 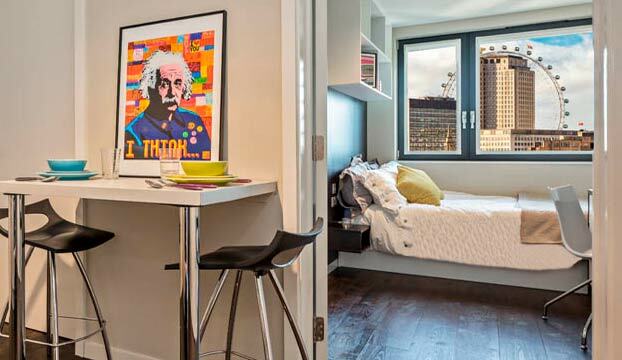 University campus accommodation is a convenient and affordable way to stay in London. You don't have to be a student to book - anyone can benefit from these great rates! 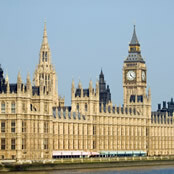 London is the capital of the United Kingdom and the largest city in the European Union. It is one of the foremost financial and cultural centres in the world. London's influence in politics, education, entertainment, media, fashion and the arts contributes to its preeminent position. 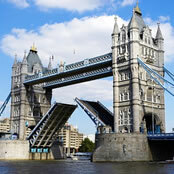 London has enough variety and substance to satisfy the most energetic tourist. It contains four World Heritage Sites: the Tower of London; the historic settlement of Greenwich; the Royal Botanic Gardens, Kew; and the site comprising the Palace of Westminster, and Westminster Abbey. A visit to Buckingham Palace, St Paul's Cathedral, and Hampton Court should also be considered. A visit to London is not complete without enjoying some of its many beautiful green spaces including The Royal Parks of Hyde Park, its neighbour Kensington Gardens, Regent's Park (housing London Zoo), the smaller Green Park or the delightful St. James's Park, surrounded by palaces and goverment buildings. The city of London is the greenest major city in Europe. Whilst a little shabby at times, the entertainment district of the West End has its focus around Leicester Square, where London and world film premieres are held, and Piccadilly Circus, with its giant electronic advertisements. London's theatre district is here, as are many cinemas, bars, clubs and restaurants, including the city's Chinatown district, and just to the east is Covent Garden, an area housing speciality shops and an abundance of street theatre. The United Kingdom's Royal Ballet, English National Ballet, Royal Opera and English National Opera are based in London and perform at the Royal Opera House, The London Coliseum, Sadler's Wells Theatre and the Royal Albert Hall as well as touring the country. Whilst horribly over-crowded, Europe's busiest shopping area is Oxford Street, a shopping street nearly 1 mile (1.6 km) long, which makes it the longest shopping street in the world and home to many shops and department stores including Selfridges. London is home to several universities, all of which we hope to be working with shortly. We currently offer Bed & Breakfast accommodation at UCL (University College London), the University of London, London School of Economics (LSE), Imperial College London, Kingston University, Courtauld Institute, Westminster University, and Brunel University. It should be understood that the university halls are designed primarily for students: not children or for adults expecting a high level of luxury. However, with this in mind, the halls do meet level of comfort that we expect most visitors to be happy with, and we will welcome any feedback where this is not the case. If you are spending more than a couple of days in the city, we would recommend purchasing an Oyster card which gives you access to all underground trains and buses. See http://www.tfl.gov.uk for more information. The great transport links from London mean that you can escape the hustle and bustle for some great locations within an hours reach. 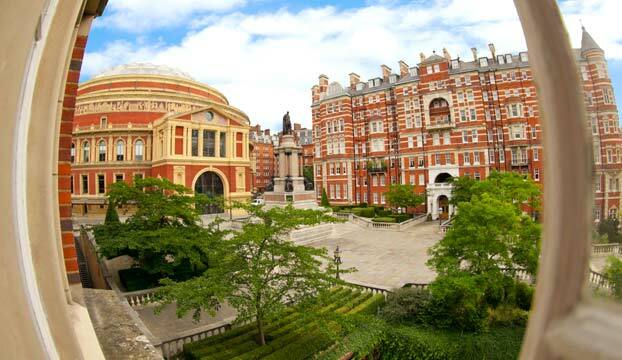 Why not try one of these great ideas for a day trip from London? The first major settlement was founded by the Romans in 43 AD as Londinium, following the Roman conquest of Britain. Following a storming by the Iceni tribe led by Queen Boudica in 61AD, the city was rebuilt and prospered, superceding Colchester as the capital of the Roman province of Britannia in 100 AD. At its height in the 2nd century, Roman London had a population of around 60,000. By the 600s, the Anglo-Saxons had created a new settlement called Lundenwic, approximately 900 metres upstream from the old Roman city, around what is now Covent Garden. It is likely that there was a harbour at the mouth of the River Fleet for fishing and trading, and this trading grew until the city was overcome by the Vikings and forced to relocate back to the location of the Roman Londinium to use its walls for protection. The original Saxon city of Lundenwic became Ealdwic ("old city"), a name surviving to the present day as Aldwych, which is in the modern City of Westminster. Plague caused extensive problems for London in the early 17th century, culminating in the Great Plague in 1665-1666 that killed around 100,000 people, up to a fifth of London's population. This was the last major outbreak in England, possibly thanks to the disastrous fire of 1666. The Great Fire of London broke out in the original City and quickly swept through London's wooden buildings, destroying large swathes of the city. Rebuilding took over ten years, largely under the direction of a Commission appointed by King Charles II, chaired by Sir Christopher Wren. Much of London was then destroyed during the bombing campaign of World War II, which saw 30,000 people lose their lives. Despite causing a great deal of damage, the city was generally well patched up and much of the worst of 1940s and 1950s architecture has been replaced by more modern and tasteful buildings. In the 18th century, Samuel Johnson, author of A Dictionary of the English Language, famously wrote about the city: "You find no man, at all intellectual, who is willing to leave London. No, Sir, when a man is tired of London, he is tired of life; for there is in London all that life can afford". UCL was founded in 1826 and is the third oldest English university, and the first university institution to be founded in London. This was the first British university to admit students regardless of their religion and gender. At that time, the only universities in England were those at Oxford and Cambridge, which were restricted to members of the Church of England. It introduced new subjects which had not previously been taught in English universities, for instance modern foreign languages, English language and literature as well as engineering and architecture. The University of London was first established by a Royal Charter in 1836, which brought together in federation London University (now University College London) and King's College (now King's College London). Today the University is a federal university made up of 31 affiliates: 19 separate university institutions and 12 research institutes. As such, the University of London is the largest university in the UK by number of full-time students, with over 135,000 campus-based students. Queen Mary has its roots in four historic colleges: Queen Mary College, Westfield College, St Bartholomew's Hospital Medical College and the London Hospital Medical College. The Mile End campus is historically the home of Queen Mary College, which began life in 1887 as the People's Palace, a philanthropic endeavour to provide east Londoners with education and social activities. It was admitted to the University of London in 1915. Westminster University is located in the district of Marylebone is named from St Mary's, the local church, which was built on the banks of a small stream or bourne called the Ty bourne. The church and the surrounding area later became known as St Mary le bourne and, over time, as Marylebone. The College was founded in 1930 as a residential college for students from The Dominions. Its aim was to improve international tolerance and understanding amongst people on the brink of their careers by providing a forum in which they could interact. The College has expanded greatly since that time and now consists of a community of 650 postgraduate students from over ninety countries. 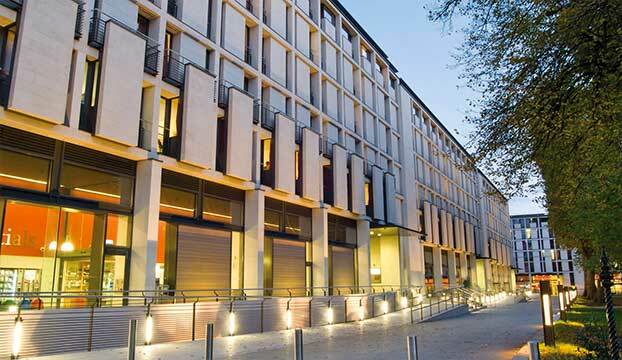 Founded in 1907 and consistently rated amongst the world's best universities, Imperial College London is a science-based institution with a reputation for excellence in teaching and research. Based in New Cross, Goldsmiths specialises in the teaching and research of creative, cultural and cognitive disciplines. The institution was founded in 1891 as Goldsmiths' Technical and Recreative Institute by the Worshipful Company of Goldsmiths. It was acquired by the University of London in 1904 and was renamed Goldsmiths' College. Founded in 1932 through the philanthropic efforts of the industrialist and art collector Samuel Courtauld, the diplomat and collector Lord Lee of Fareham, and the art historian Sir Robert Witt, this self-governing college of the University of London specialises in the study of the history of art.